Siegling Transilon nonwoven belts particularly ensure the even and continuous piling of nonwoven fabrics. To guarantee distortion-free conveying and processing in every manufacturing step, the belts can be customized for individual tasks. 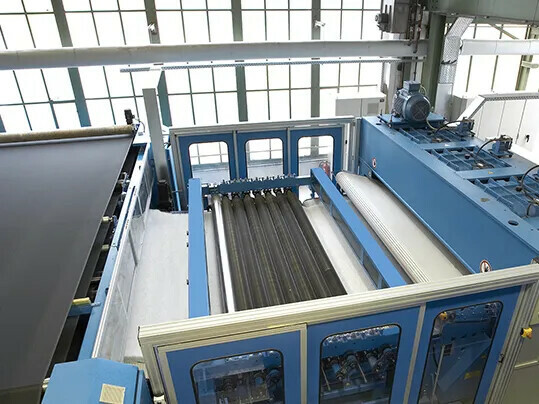 The delivery of the web with almost no relative motion from the reciprocating movement in the cross lapper and a defined laying pattern with a clean edge – even at high laying speeds – are decisive for the quality of your production. 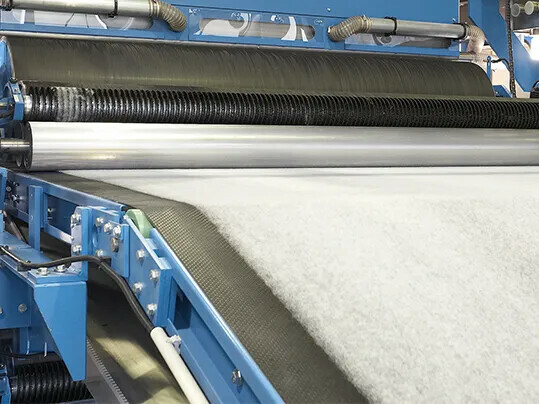 It is also necessary to deal with vital system conditions such as air currents and production characteristics specific to the nonwoven being manufactured. The lower web ply on the lattice apron may not be pressed together and the edges should be flush. 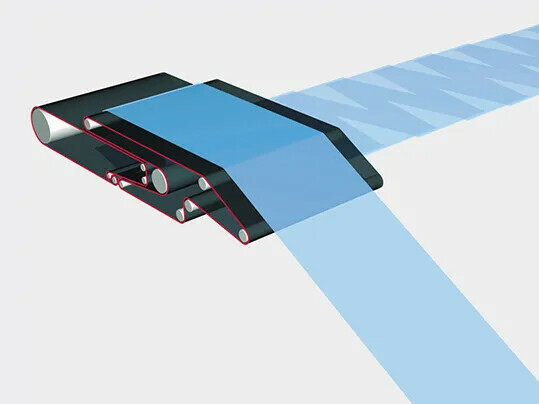 Thanks to the exceptionally highly-conductive coating with reduced coefficient of friction, the new Transilon nonwoven belts make it possible to lay the web perfectly and to dip into the layered web. This new type of homogeneous coating design guarantees constant belt properties and continuously high product quality, even in the case of mechanical wear from clearer flats or occasional minor malfunctions. And that’s why the leading producers of nonwovens place their trust in Forbo Siegling. You can find detailed information on nonwoven belts in our brochure at the bottom of this page under “further information”.